I recently attended the 2 Million Dogs PuppyUp! Walk here in Atlanta. 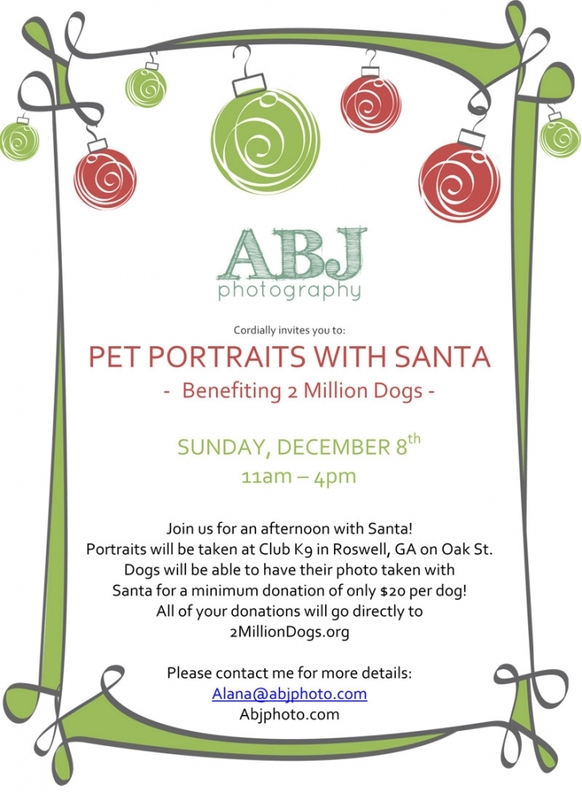 In December I will be taking Pet Portraits with Santa to benefit 2 Million Dogs at Club K9 in Roswell. Come out and join us for a fun afternoon! All proceeds go to benefit 2 Million Dogs. Contact me today for more details!